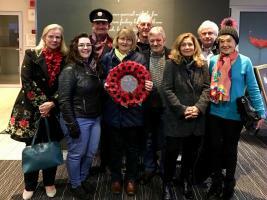 Sun 25th November Over the weekend of 23rd to 25th November 2018, ten members and partners of Leatherhead Rotary Club travelled to France to attend the annual soirée organised by one of their two twin clubs, the Rotary Club of Lens Louvre. RC Leatherhead GBP 20 per person for two course meal at Fetcham Tandoori. All proceeds go to Motor Neurone Disease Association and Rainbow Trust. RC Dorking Help us to walk the equivalent of Land's End to John O'Groats in aid of the Patchworking Garden Project, Dorking. RC Fleet FLEET FUN WALK 2019 Enjoy a walk around Fleet and the surrounding countryside with friends and family, and raise money for your chosen charity or good cause. RC Banstead A fully marshalled walk of approximately 7 miles through some of the most attractive scenery of the North Downs starting and finishing at Epsom Downs. RC Shepperton and Sunbury Every May, the Rotary Club of Shepperton & Sunbury organises a 10km Charity Sponsored walk around the Waterways of Shepperton. People walk to raise money for Charity. Admin costs £5 per walker then walkers raise money for their preferred charity. RC Storrington & Pulborough District A popular event for buyers and sellers with lots of bric-a-brac, clothes, plants and curios on sale. RC Storrington & Pulborough District Tonight's film is ‘Bohemian Rhapsody' Starring: Rami Malek, Lucy Boynton, Gwilym Lee. This is the story of the legendary rock music band Queen and lead singer Freddie Mercury, leading up to their famous performance at Live Aid (1985). RC Brighton Joins us at Rushfields Garden Centre and stock up with bedding plants and other high quality items for your garden. Also enjoy a glass of wine and a buffet meal in the company of friends! RC Fleet Our next Business Breakfast will be held on Tuesday 21st May 2019, providing you with an opportunity to meet business contacts, new and old. RC Leatherhead Featuring the sensational sounds of the swing music era, plus special guest Frank Cognoscenti returns as Sinatra! District 1145 brings together 97 Rotary Clubs in 6 Greater London Boroughs, Surrey, East & West Sussex and neighboring parts of Hampshire to develop fellowship and service opportunities. Bicycle Ambulances for Clinic in Malawi. 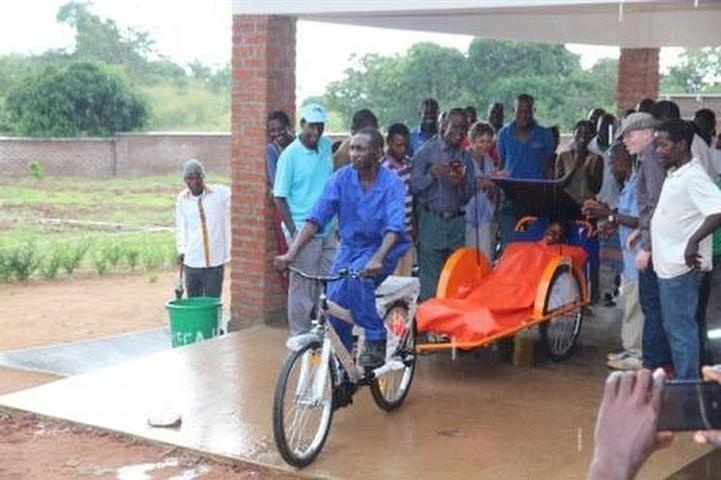 Epsom Rotary Club has provided a second batch of bicycle ambulances to the AMECA Clinic (Alex's Medical & Educational Clinic in Africa) in the African Country of Malawi. Initially three bicycle ambulances were purchased and allocated to three villages. Following the success of that project a further six bicycle ambulances were bought and delivered last October to another six villages. 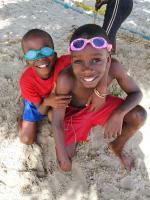 More details on the Epsom Rotary Club website. The Rotary clubs of Dorking, Dorking Deepdene and Ashtead announce their sponsorship of Mole Valley Girls Football Club! 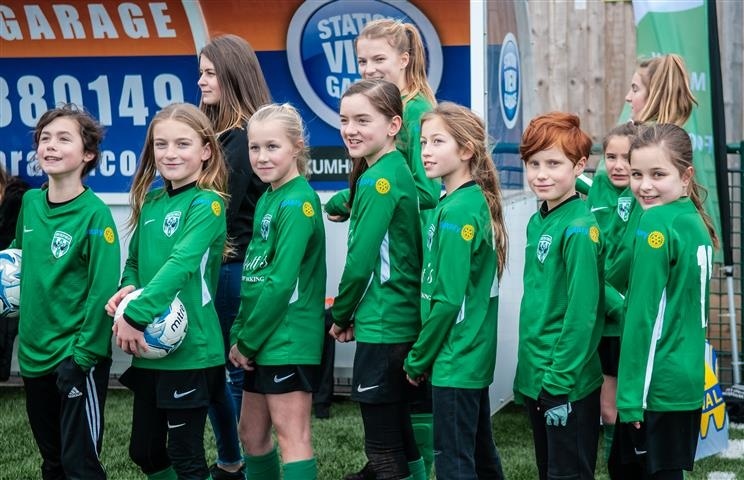 ‘Mole Valley Rotary’s aim in working with the Mole Valley Girls Football Club is to bring these opportunities very close to home, and also to reach out to their parents to get involved and help us help others. Leatherhead light up the old pumping station in bright purple! Throughout the evening of Wednesday 24th October, many visitors to Leatherhead will hopefully have seen the town’s old pumping station lit up in bright purple! 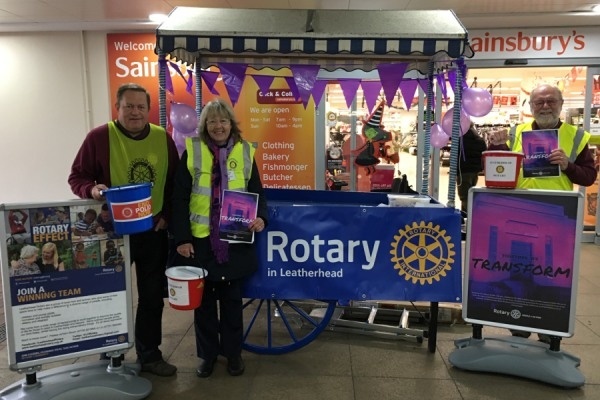 This was one of four landmarks around the town lit up in purple by Leatherhead Rotary, as part of a global initiative by Rotary Clubs around the world to raise awareness of World Polio Day and ‘End Polio Now’, Rotary’s international polio eradication campaign. 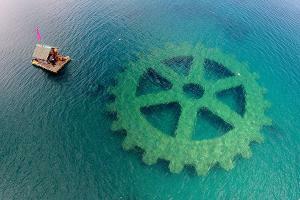 Llink to this story on the Leatherhead Rotary Club website. 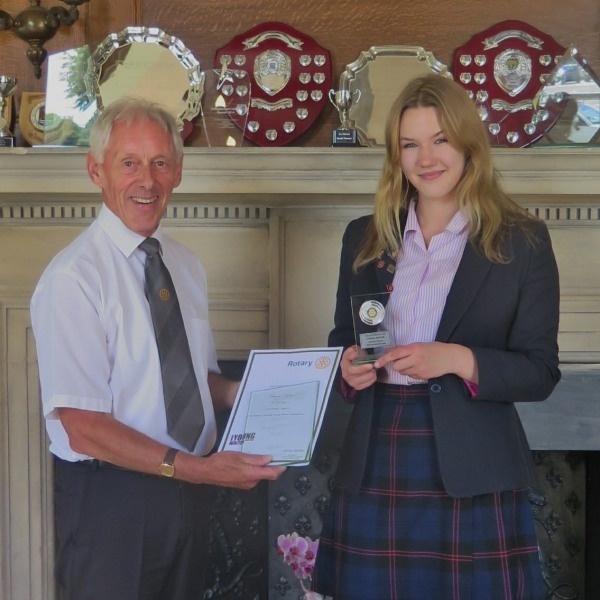 Sienna Lakin of St Teresa’s School, Dorking, has won the National Final of Rotary’s Young Writer competition, at Senior level for 14 to 17 year olds. 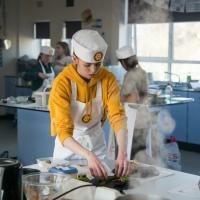 The Technology Tournament, led by Rotary Club of Twickenham an "amazing event!" "In the next 30 days..." lists some more exciting 1145 Club Events! Rotarians! We welcome stories about the activities of any of the 1145 Clubs! Contributions from members of the District Team would also be welcome!